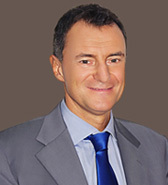 Dr Stefano Veglio studied medicine in Turin (Italy) and did his training as Dermatologist at the University of Turin – Department of Dermatology. He received his board in Dermatology in 1994 from the University of Turin and holds qualifications in Dermoscopy (Postgraduate in Dermoscopy – University of Milan 2002) and Aesthetic Medicine (Postgraduate in Botulin Toxin for Aesthetic Treatment - Expert level in Florence October 2016). Dr Stefano Veglio worked as Dermatologist at Dermatology Department of Regional Hospital of Aosta Valley (Italy) as Vice Head Physician from 1995 to 2014 and as Head Physician from 2014 to august 2016. During this period he focused on skin cancer detection with dermoscopic examination and on dermatologic surgery for skin cancers with more than 6000 surgical excisions as the first surgeon. He was also Director of Allergologic Section of Dermatologic Unit, performing the allergologic examination for many dermatological diseases and Consultant Dermatology for Pediatric Department of Aosta Valley Regional Hospital. During his hospital working experience, he also focused on sunlight-induced skin diseases, hives, psoriasis, skin blistering diseases, vasculitis, vitiligo and other collagen vascular diseases such as scleroderma and lupus erythematosus.